NO I'm not Engaged I just Like Diamond! 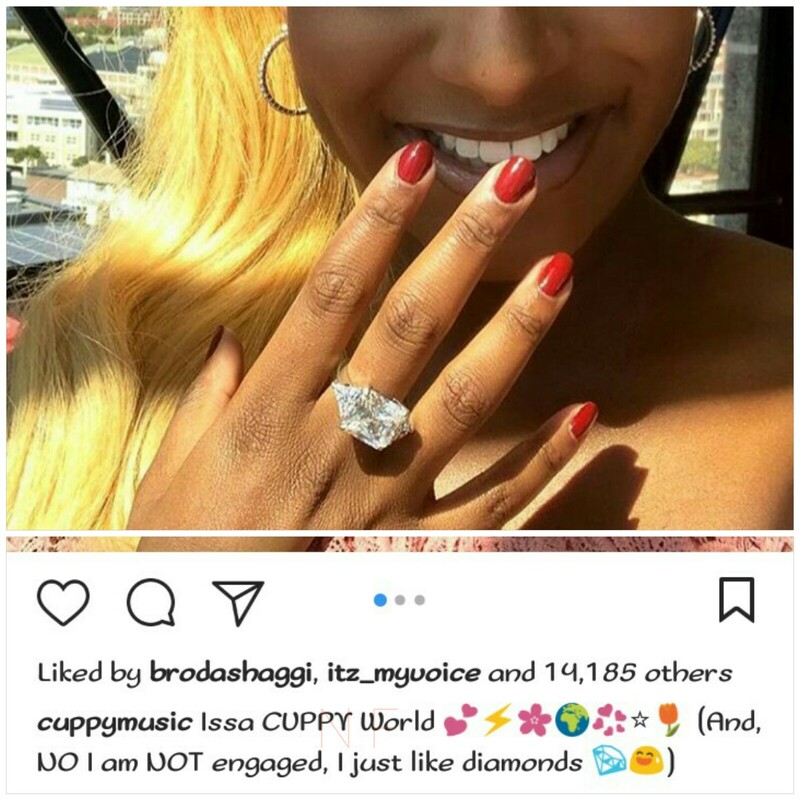 DJcuppy Shares Good Selfies With Diamond Ring on her Finger. Photos - NAIRAFAME | Best Entertainment Platform. 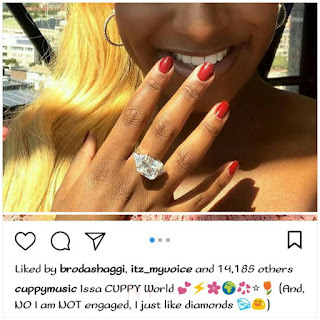 Nigerian Female Disc Jockey, DJ Cuppy flaunts Diamond ring on her finger as she share selfies pictures.